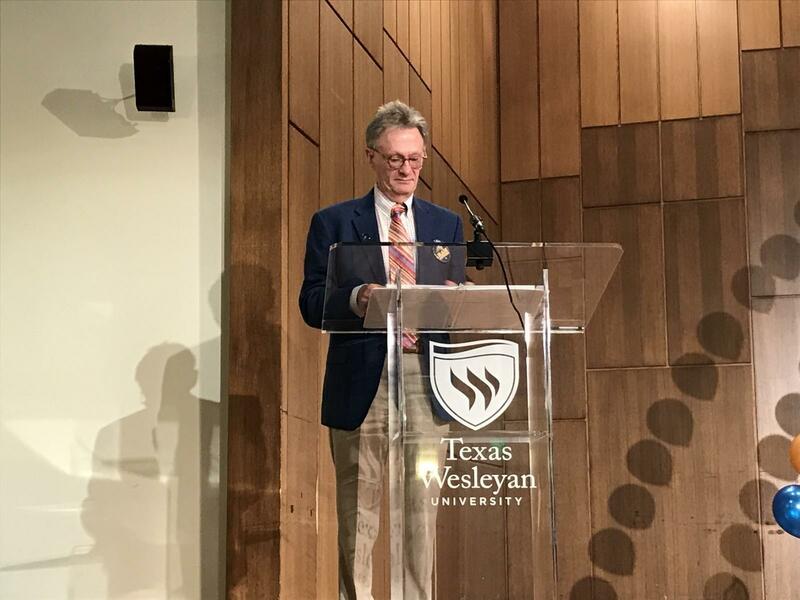 Joe Brown, a dean of freshman and professor of liberal arts, has enjoyed being the master of ceremonies for the annual Awards Day at Texas Wesleyan. 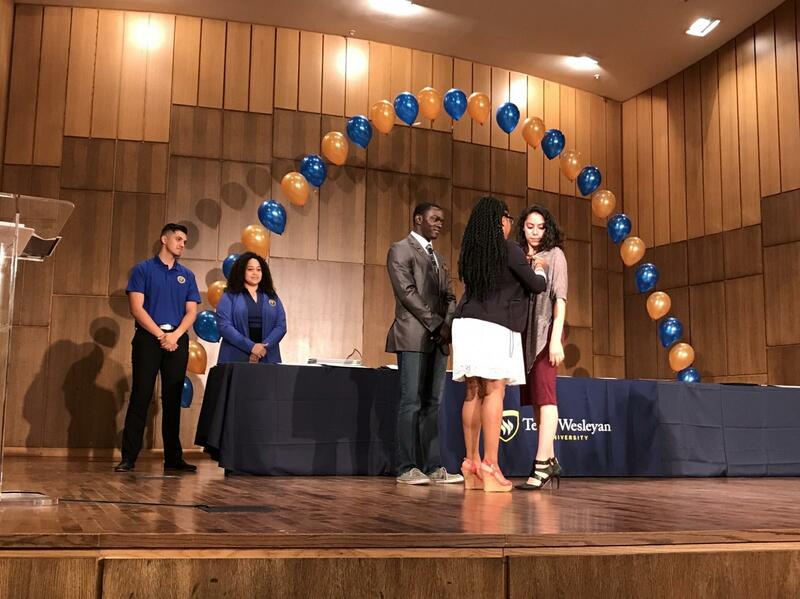 Brown said the ceremony celebrates the best in academics at Texas Wesleyan. Awards Day is an annual spring event that recognizes the accomplishments of students and faculty for the academic year, according to txwes.edu. Two educations majors, Pamela Parra and Crystal Webb, were excited to hear they were awarded in their field of study. Parra, sophomore bilingual early childhood through sixth-grade education major, was excited to receive the Junior Women’s Club of Fort Worth Award. “I feel very honored, I was the only recipient that received it [Junior Women’s Club of Fort Worth Award] so, I feel very honored that they chose me,” Pamela said. Webb, senior graduate liberal studies early childhood through sixth-grade major, was shocked to have received the Outstanding Student Award in Elementary Education. 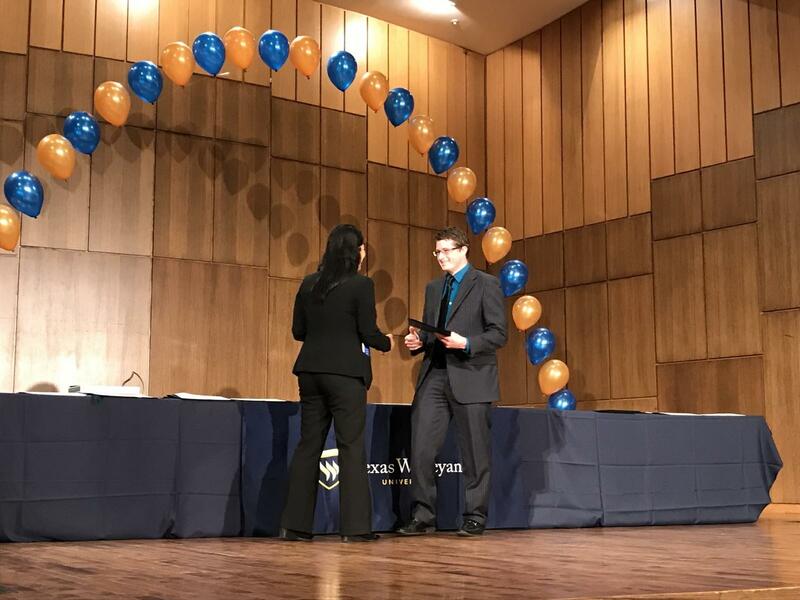 Tyler Guse, a senior theater major, had a similar response to Webb’s when it was announced he received the Law Sone Award, the service award for Alpha Psi Omega and Theatre Major of the Year. There were a variety of awards given to students from excellence in athletics to those who excelled in multiple languages. Isabel Olmedo, a junior Spanish major, felt recognized in her field when it was announced she was awarded the Premio Excelencia Spanish Award. “Me sentí emocionada. Siento como que te reconocen tu trabajo. Estoy contenta,” Olmedo said. I felt excited. I feel like they [faculty and staff] recognize your hard work. I am happy. Just like Olmedo felt like her work was recognized, senior graduate biology major Aya Elalfy felt the same. Elalfy felt she received the Outstanding Graduating Senior in Biology Award for her research on the affects a specific protein has on the pathogenicity of a strain of E.Coli. Joe Brown, Master of Ceremonies announces awards. Student recieves award at Awards Day 2017. 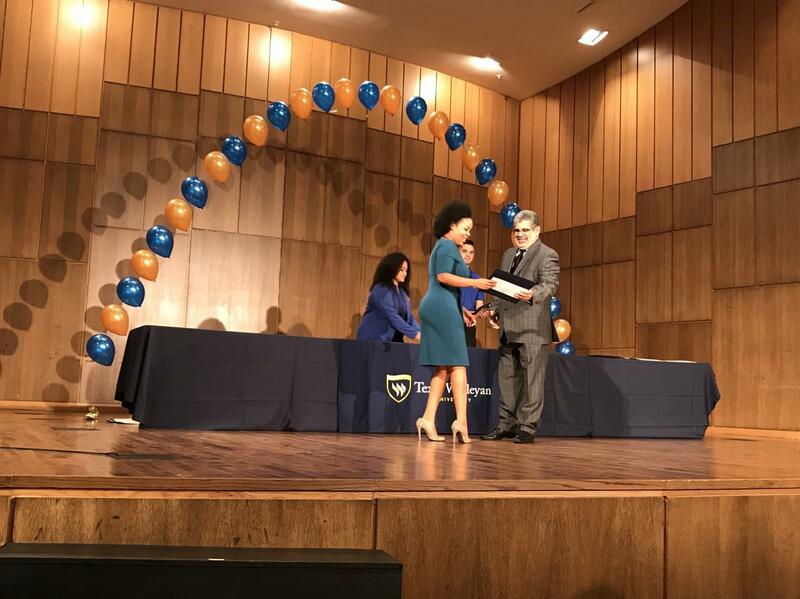 Dr. Quintanilla hands award to students at Awards Day in Nicholas Martin Hall.